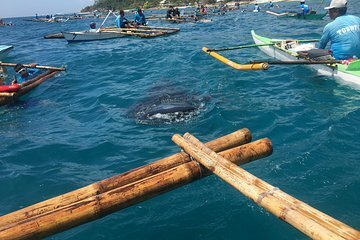 Explore and learn about Oslob’s marine ecosystem—including its resident whale sharks and enormous schools of sardines—during this hands-on tour from Cebu. Travel to various sites by boat, including Moalboal, Tan-awan, and Pescador Island while listening to engaging commentary from your guide. Slip on the provided snorkel equipment to see the underwater world firsthand, including the huge whale sharks and schools of sardines.